Since when is integrity a bad thing? I look forward to more politicians “flip-flop-ing” on accepting PAC money. Bernie Sanders proved it, with small dollar donations out raised the Clinton campaign in many months. 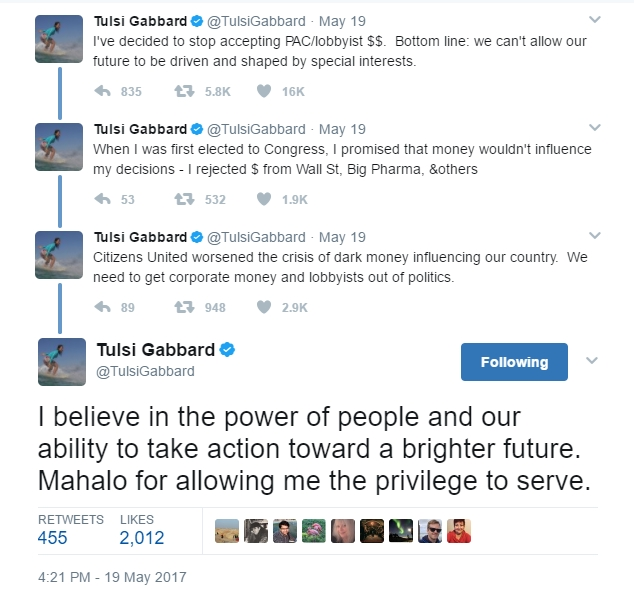 Tulsi Gabbard has long been a proponent of campaign finance reform. 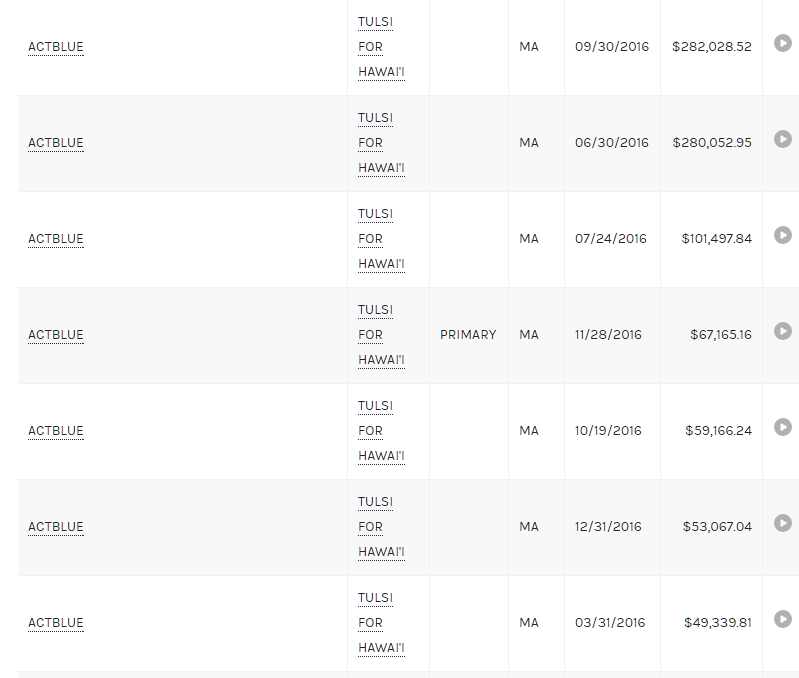 If you actually look at the donations from PACs from 2016 it is far less than most in Washington. The largest donation is five thousand dollars. What the author fails to realize is of the 1.3m in “PAC” money in the last 7 years, a majority of it is from Actblue the online processor for individual contributions.